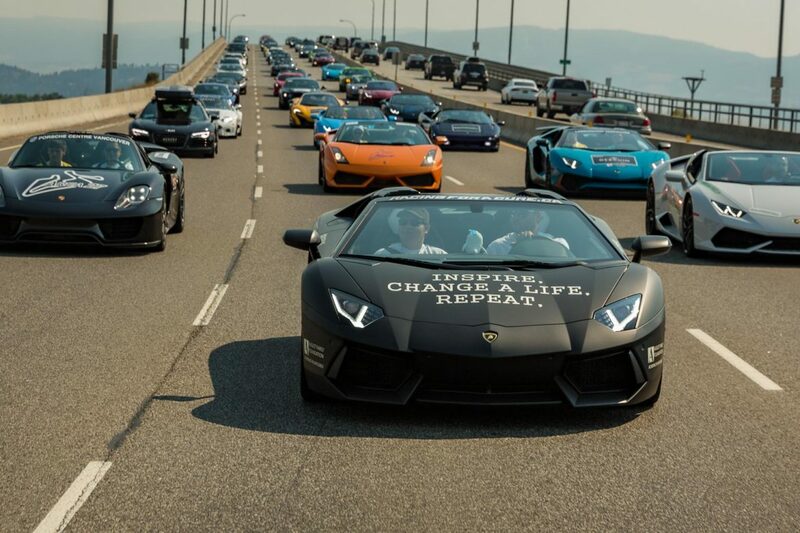 The Okanagan Dream Rally was held on August 6, 2017. 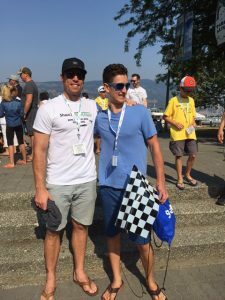 The August Family Foundation organized the event that saw 200 luxury cars and drivers take 200 lucky kids for a spin from Kelowna to Penticton and back. The Rally raised $193,000 for Autism Okanagan, Kidsport Kelowna and the Central Okanagan Hospice Association. We asked one of our Young Ambassadors, Ben, from the YAP program and a participant in the Dream Rally, to share his thoughts from that day! 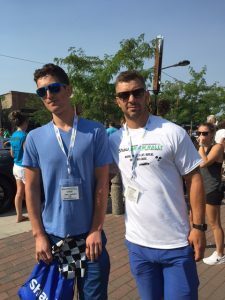 Ben with NHL Superstar and guest driver Josh Gorges. the dream rally for me was incredible experience for me because just being able to see all the children so happy and see all the smiles that were on there face was priceless to me. The drive were all awesome because the fact they took time out of there days to make this event possible was great. I loved just talking to the drives and here about all the different types of cars that were in the rally. Ben next to the Porsche he rode in! 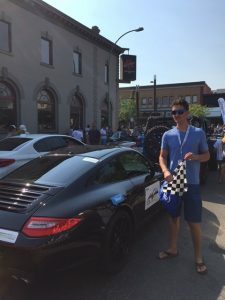 Seeing all the cars lined up all the same street was awesome and just being able ride in one of the cars was great to and just to being able to do this was awesome and I will never forget this experience. I hope that this event continues to make a children’s dream’s come true was priceless. Thank you again to Tracy and Quincy for came a children’s dream’s come true and it was a awesome experience. Thanks Ben for sharing your experience at the rally! We are all excited about next year too! Young Ambassadors Program Starts Again September 26, 2017!